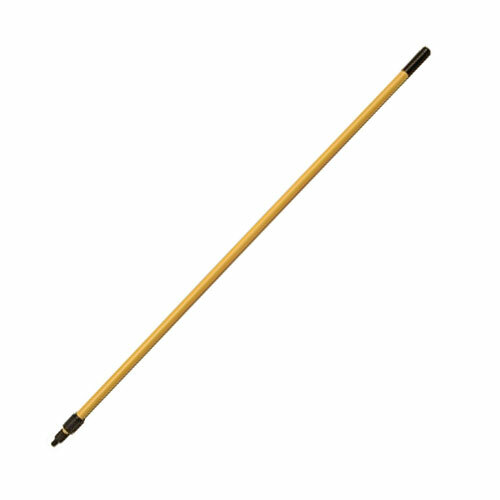 Here you will find all of your threaded push broom head needs. We carry all brush head styles, bristle type and lengths. If you can't find something that you're looking for, please give us a call at 1-800-227-8479. 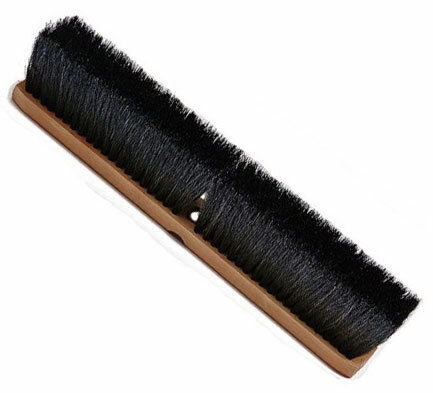 Horsehair push brooms have 3" bristles, staple set into a lacquered hardwood block with two acme thread holes. A very popular smooth sweep for scools and office building floors. Fine sweeping "SILVER FOX" INDOOR push brooms with 3" soft flagged grey solvent resistant bristles. 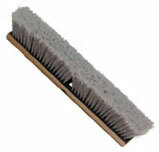 Bristles are staple set into a lacquered 7/8" thick hardwood block with two acme thread holes. Works well on sealed concrete, wooden floors and other smooth surfaces. Maroon heavy duty push brooms with 3" synthetic bristles are oil, water and solvent resistant: Specifically engineered for tough outdoor sweeping. 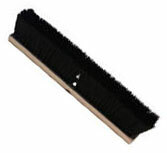 DQB #11038 Metal Tapered Handle is used for broom, deck brushes, and acid brush attachments. Approx 60" long. 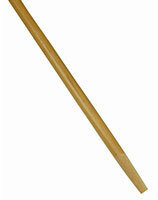 DQB Wood Tapered Handle is a tapered, handled wooden pole used for deck scrub brushes, acid scrub brushes, brooms, etc. Approx 60" in length.